A good backpacking pillow can help you get a good night’s sleep so you’ll be ready to hit the trail fresh in the morning. When it comes to backpacking pillows, the main considerations are how much the pillow weighs and how much space it takes up. You also want to consider what material the pillow is made of. Is the material durable? Comfortable? What it’s filled with? FYI, backpacking pillows are often filled with down, air, or polyester. The shape of the pillow is important, too. If you sleep on your side, you’ll need a pillow that’s a different shape and size than if you sleep on your back. 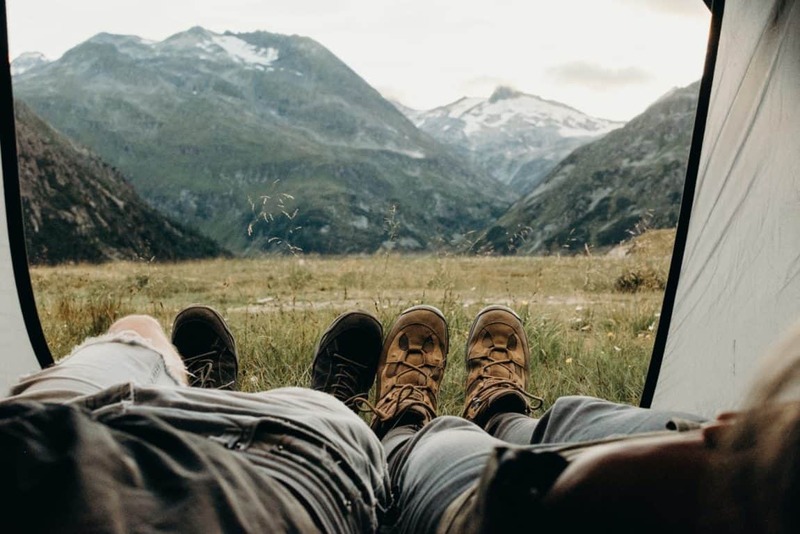 Before you make the mistake of purchasing any old pillow, take note of your sleeping habits and what features you need in a backpacking pillow. 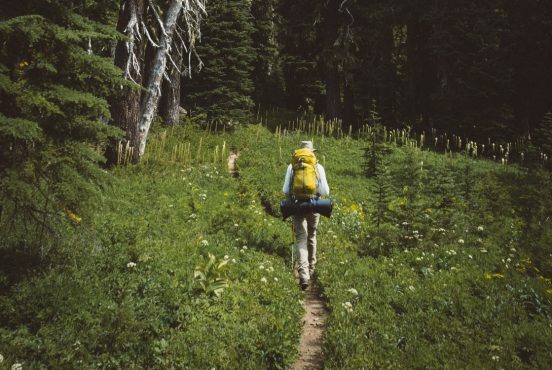 Pillows aren’t a necessity on the trail, but they’re a relatively inexpensive luxury that can pay off in a big way if you have trouble sleeping outdoors. 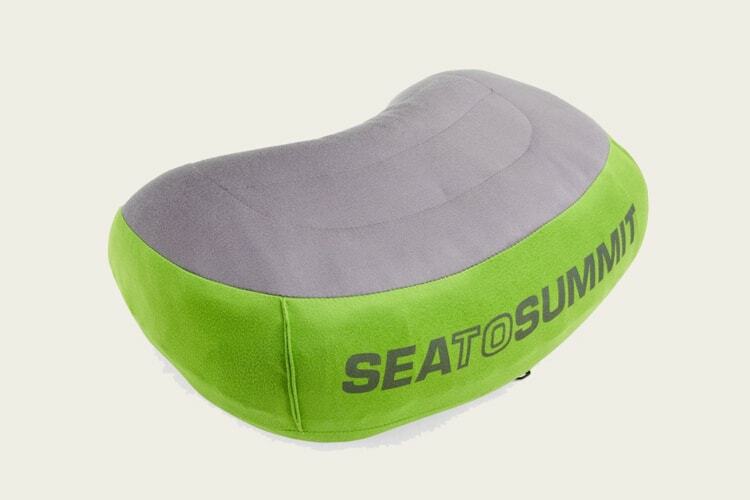 The Sea to Summit Aeros Pillow weighs just 2.8 ounces and inflates to become five inches thick. It’s made of polyester and includes a stuff sack. There’s a synthetic fill under the pillowcase to wick away perspiration and condensation. Specially curved contours keep your head comfortable. It comes with a valve for easy inflation, but many reviewers report the valve failing after only a few uses. Other reviews add that the pillow is easy to puncture and may not last long. 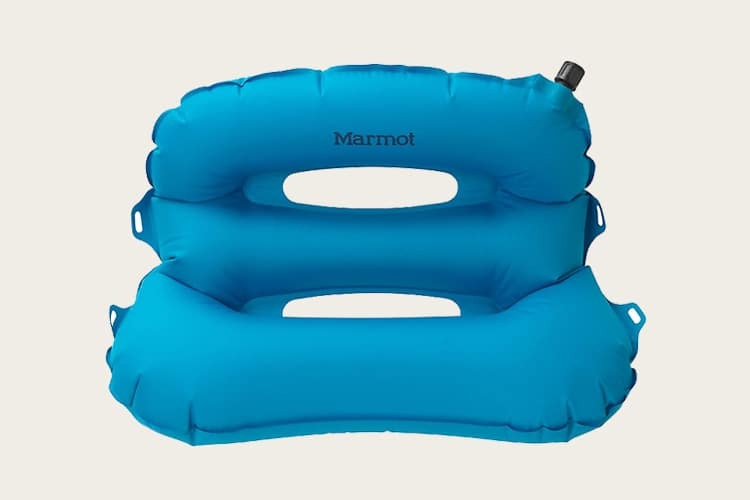 Marmot’s bright blue Strato Pillow is designed to give you the sleep you need for more adventures the next day. 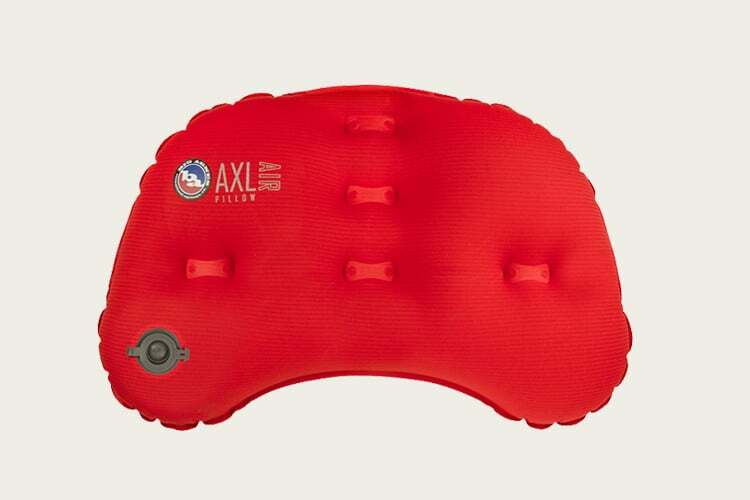 Made with an ergonomic flex-baffle technology, the pillow gives good support to your neck. 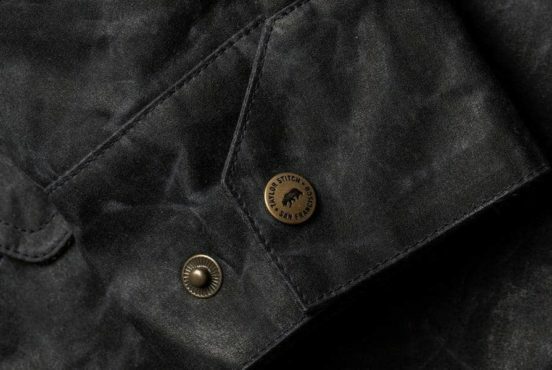 It’s also made with welded seams for strength and durability. Just inflate the pillow to your desired firmness and voila! 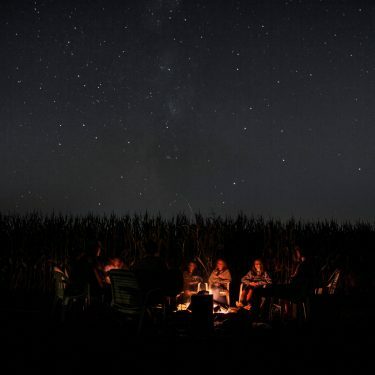 You’re ready for a restful night under the stars. The Strato Pillow comes with a carry bag that folds up to fit in the palm of your hand and can easily be shoved into a backpack. The AXL Air Pillow is advertised to pack down to the size of an energy bar — which is pretty small! This 1.6 ounce pillow is made of stretch nylon with high puncture resistance that feels smooth and comfortable on your face. It comes with a stuff sack and has a minimalist valve that’s easy and fast to inflate or deflate since it’s just a single-port, two-way valve. The pillow includes a micro-adjust valve so you can control firmness, and it also features an antimicrobial treatment too. As far as maintenance, the company recommendation is to hand wash and air dry. The Exped Air Pillow is a good choice for side and back sleepers because of its asymmetrical design with horizontal lines. The pillow has two valves for inflation and deflation and can inflate with just a few breaths. One valve has an adjustable flap so you can adjust firmness. You can choose from a medium, large, or extra large pillow depending on your needs — many customer reviews recommend the large as all sizes pack down to more or less same size. One reviewer recommends using a T-shirt as a pillow case to mimic your pillow at home. 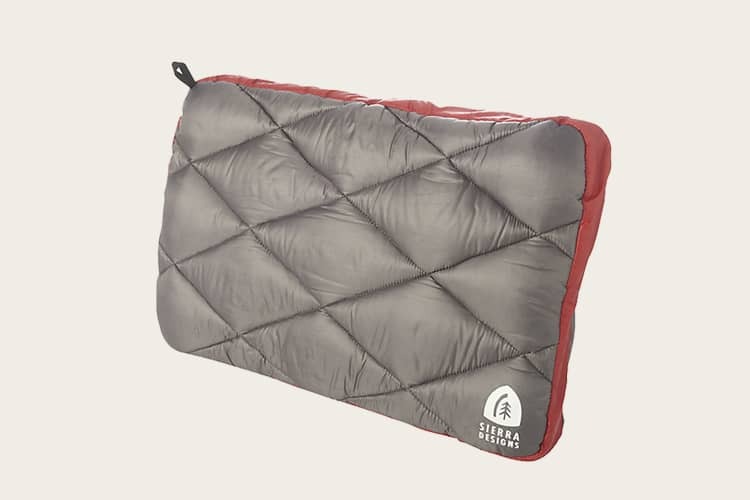 The Sierra Designs Dridown Pillow is a three-ounce pillow that includes a removable synthetic Dridown inner pillow inside the shell pillow. Online retailer Moosejaw explains that when you’re backpacking, you can take the inner pillow out to lighten the load, and then use the base layer to plump the pillow up when you stop to rest. The pillow comes with a stuff sack and folds down to a very compact size. The NEMO Fillo Elite Pillow is a little pricey, but it’s comfortable and reminiscent of your pillow at home thanks to its traditional design. The pillow has synthetic insulation and offers plenty of height and cushioning. It’s inflatable and weighs just three ounces. The NEMO Fillo Elite comes in purple, sapphire, and gray. Its included stuff sack is the same size as a tennis ball, so the pillow can even fit in your pocket. 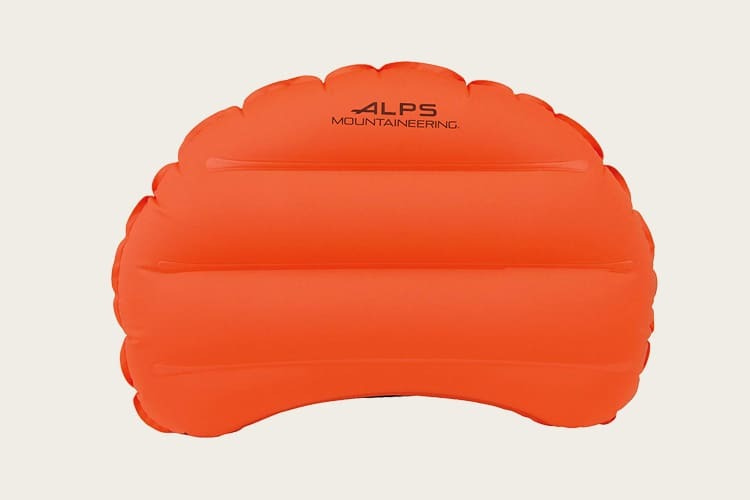 ALPS Mountaineering has produced camping gear at with great quality-for-value since 1993. 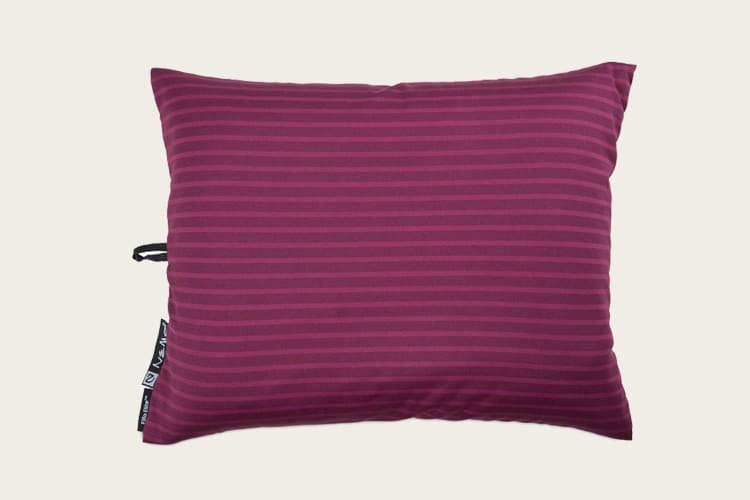 The ALPS Mountaineering Versa Pillow is a small pillow in a half-circle shape made of brushed polyester fabric. 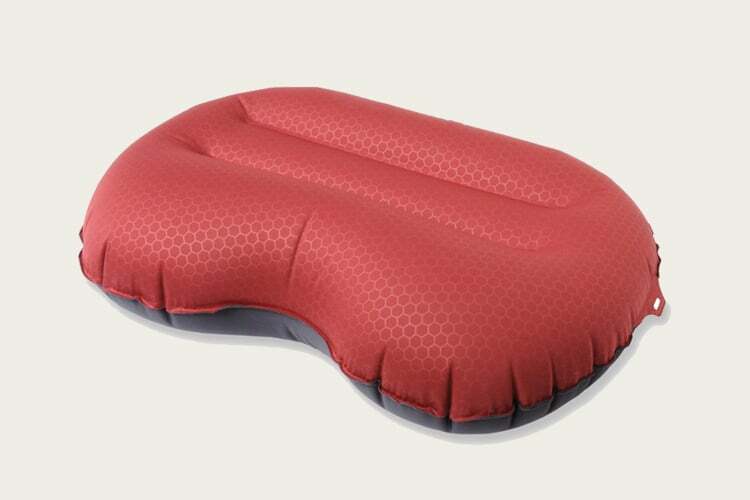 It weighs 2.8 ounces and has a flat valve to inflate and deflate the pillow. The Versa pillow also includes a stuff sack and a small patch kit in case of any tears or punctures. The pillow is half the price of most other pillows on this list, and is also the best value. 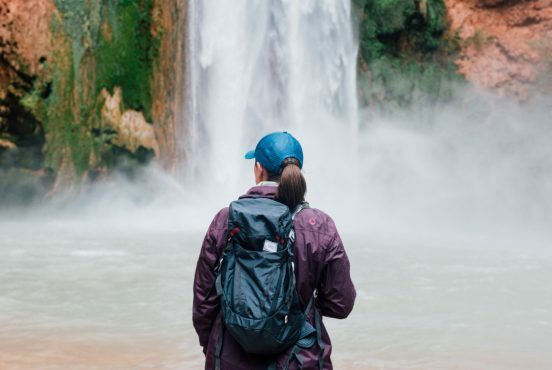 Big Sky International designs and manufactures outdoor gear with a focus on light weight and comfort — two qualities that are imperative in a backpacking pillow. 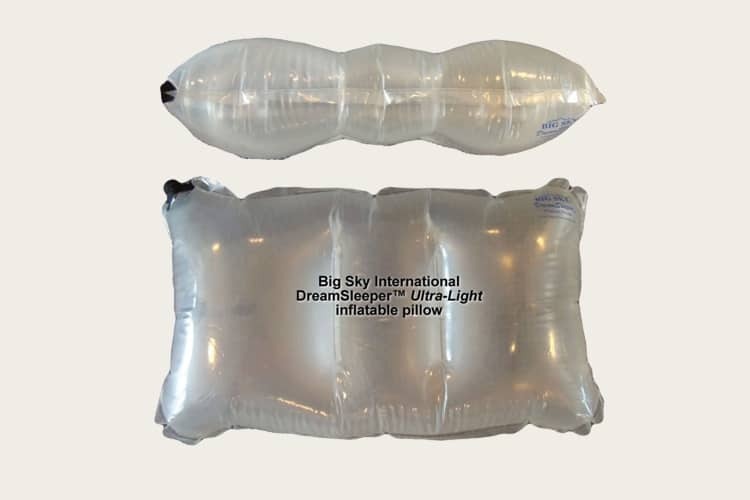 The DreamSleeper™ UltraLight weighs less than two ounces and, when packed, can fit in your hand. The ergonomic design fits to your head and the pillow is strong and durable thanks to the TPU (thermo polyurethane) construction. The environmentally-friendly TPU also allows the pillow to be used in the winter — it won’t crack in the frigid cold. 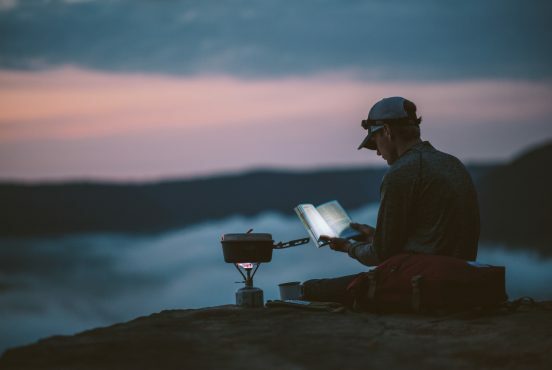 For more backpacking gear, check out our favorite 3-person backpacking tents, the best backpacking stoves or our favorite camp shoes after a long day of trekkin’. 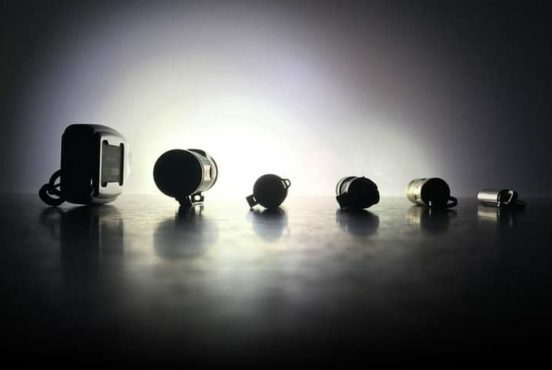 Keychain flashlights offer a convenient way to carry a handy light with you at all times. 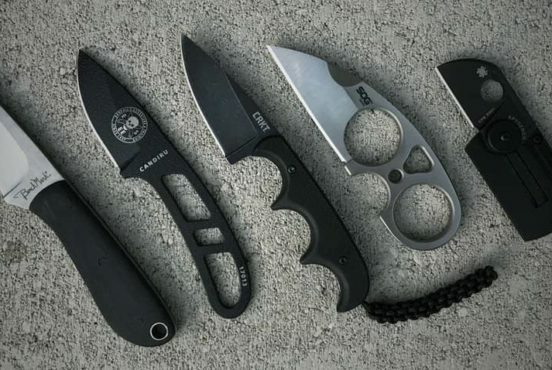 Believe it or not, these nifty little contraptions come in a variety of forms — each with their own unique functionality. 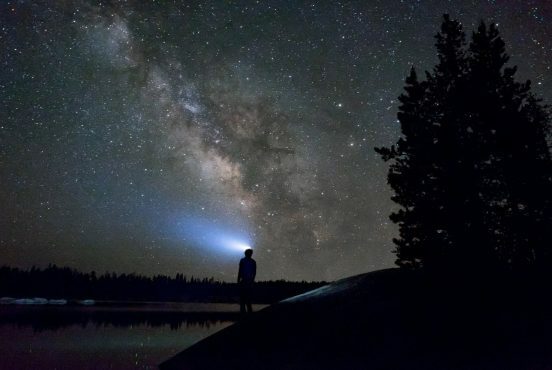 We field-tested the most reputable keychain flashlights on the market, and here's our picks for the best of the best. 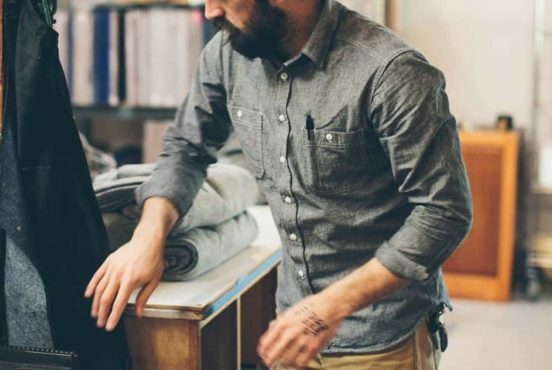 Few fabrics can become a wardrobe staple the way chambray does, and whether you're dressing it up or down, chambray can work for all types of occasions.